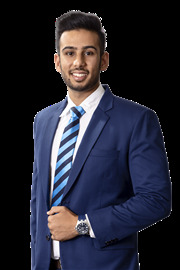 In his first year, Harsimran's professionalism, immaculate presentation and integrity rapidly generated a successful sales record, which resulted in him winning the rising star for Harcourts Northern region. In that same year, he was the national Rising Star runner up for the Real Estate Institute of New Zealand (REINZ). 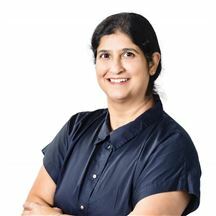 Consistently achieving the Number one sales spot for Harcourts Manukau, three years in a row from 2013—2015, has bought Harsimran ongoing recognition. In the year ending 2014, he placed in the top 100 for Harcourts nationally & was the top agent for listing auctions in the Manukau office. 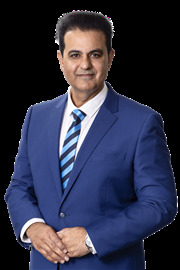 In the year ending 2015, he placed top 20 for Harcourts Northern region & again was the top agent for Harcourts Preet & Co. Balancing a drive for success with an understanding of his clients’ needs is producing a winning formula for Harsimran Most recently receiving #13 in New Zealand for Harcourts 2015/2016 & achieving a very impressive #18 INTERNATIONALLY for Harcourts Worldwide, Harsimran’s success continues to blossom with a multitude of praise worthy achievements in his 4 years & a hunger to gain more. Harsimran attributes his success to his tenacity and his commitment to doing everything possible to make a house sale successful for his clients. With a strong belief in marketing & a straightforward approach he recognises he is often dealing with a person’s life savings and he must take his role seriously. Consequently many clients return to him time & time again as their circumstances change. Communicating comes easily to Harsimran—being fluent in English, Hindi & Punjabi, he knows Manukau & the marketing channels that work with the diverse community. There is no stopping Harsimran’s talented sales ability, he has been recognised as achieving many awards including top two percent for Harcourts Manukau in the quarter & Number 18 internationally for Harcourts year ending 2016. Dedicated, Hardworking and Trustworthy is a great way to describe Fateh. By choosing Fateh to market your home you know you are choosing the best. His energy and enthusiasm along with his drive and friendly personality means you can be assured he will go above and beyond to get you the price you want. He is a valuable asset to Harcourt's Preet and Co, his tremendous work ethic, knowledge of the property market and talent with marketing makes him irreplaceable and a great team member. Give him a call today to discuss your property requirements. Ready for a New Challenge! 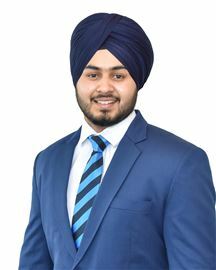 Recently joining the Harcourt's Papatoetoe team after getting his real estate sales consultant license, Gurneet is ready and determined to hit the ground running . With 4 years of customer service experience under his belt Gurneet has proven communication skills being fluent in English, Hindi & Punjabi. 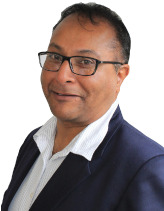 Friendly & approachable, Gurneet prides himself with excellent customer service & perseveres to ensure all his clients get the best results possible. Attracted to the limitless potential of growth the real estate industry has offer, Gurneet is currently in his second year studying at AUT (Mechanical Engineering). When he’s not busy working Gurneet enjoys playing sport , going to the gym and spending quality time with the family . For an agent you can Trust call Gurneet today! KD (short for Kamaldeep) hails from India and has been living in New Zealand with his family for 12 years now, and he loves it here. He is very much a Kiwi at heart and he is multi lingual as well being fluent in English, Hindi and Punjabi. With degrees in Marketing and Geology and then with more than 15 years’ experience in sales KD is able to apply his problem solving skills plus some creative flair to connect sellers to buyers. And he knows how to close a deal. KD is an effective communicator and negotiator and looks to make the buying and selling of property a positive experience for those involved. He works for you to flush out the best deal on offer and leaves you with a confidence that everything was done professionally and well to get the end result, he is with you all the way. He loves living in Mt Albert and knows this area and the surrounding suburbs like the back of his hand. Clients return to do business with KD because he won't rest until the job is "done and dusted". You will enjoy working with him. Yadwinder believes in hard work, trust and professionalism. He prides himself with an unrelenting commitment to 'go the extra mile' to help clients achieve exceptional results. With his experience and academic background he brings to his current role essential skills including profound computer knowledge, attention to every detail and great customer service. 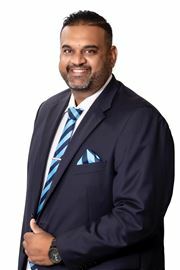 His proficiency in multiple languages including English, Hindi and Punjabi makes him an agent of choice in the Auckland market, as he works with buyers and sellers of all different nations. His moto is "sales go up and down, service stays forever". When working with Yadwinder you can be assured that you are dealing with a true and friendly professional. He believes in serving clients' needs first, in a fair, complete and truthful manner. He wants to serve with gratitude. He is passionate for his work, and whether it is selling or buying, he commits and gives his 100% to make your dream come true. His passion for the real estate industry brings him to your service. Always ready to help, very friendly, pro active and just a call away. Working as Harsimran’s full time P.A for over three years, Gemma has ample experience working as Harsimran’s right hand & understands the demands while being sensitive to clients needs, whether you are a little nervous with your first sale or purchasing your first home, or maybe time is sensitive regarding appointments or documentation, Gemma has it all covered & takes it in her stride. 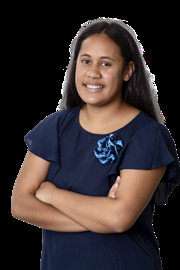 Gemma works around the clock with Harsimran, making sure no opportunity is missed to ensure their clients receive A+ service & have an enjoyable process buying or selling property. 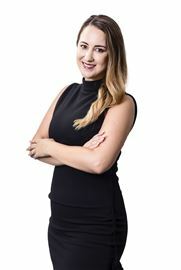 Gemma has recently completed her real estate papers to be more knowledgeable about the industry & be more involved where she can to assist and ensure a successful outcome for clients. Step onto the Property Ladder! Affordable & Ready to go! Great property for Do Ups!